Looking to add a boost of energy to your antiaging program in Beverly Hills? 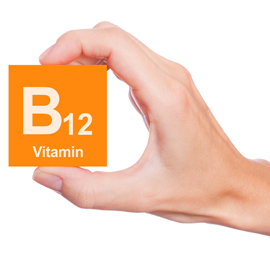 Consider the benefits of vitamin B12 injections. Vitamin B12 is one of eight essential B vitamins. It is responsible for a number of critical functions within the body, including maintaining red blood cells and healthy nerve cells. It is also a component of DNA and is required for proper brain function. While vitamin B12 can be found in a wide variety of foods, including meat, dairy and fish, the supplement can also be administered orally or through injections for enhanced wellness. Stress and unhealthy lifestyle habits like poor diet can interfere with natural vitamin B12 levels in the blood and lead to a deficiency. Vitamin B12 supplements restore deficient levels of the nutrient and provide an added energy boost so you can focus on improving your health. Vitamin B12 is a water soluble vitamin, meaning it is not easily stored by the body and so must be replenished daily to prevent deficiency. Oral supplements deliver increased levels of vitamin B12 to the body, but a large portion of the nutrient is discarded during digestion. Energy and wellness injections featuring vitamin B12 introduce the nutrient directly into the bloodstream, providing patients with an immediate boost of energy and eliminating the risk of the nutrient’s properties being discarded during the digestion process. By injecting vitamin B12 intravenously, Dr. Kerendian is able to provide you with a greater dosage of the nutrient than would be safe to consume orally. Vitamin B12 injections can improve your energy levels, increase your weight loss efforts and enhance your health. For more information about energy and wellness injections at Delight Medical Center please contact us.